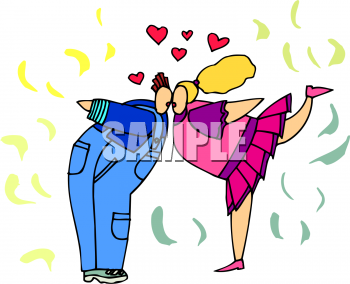 This Valentines Day Clip Art picture is available as part of a low cost membership giving you access to over 7.8 Million Clipart Images, Photos, Animations, Fonts and more. This is a low resolution preview image - Actual image quality is much higher and free of any watermark. kiss, smooch, love, embrace, leaning, children, valentines, day, holiday, valentine's, holidays, valentine, st, st.